What could be better than exchanging a cold and snowy Ontario for 10 days in sunny Belize? Or Eleuthera, or Exuma, or Costa Rica, or Maui? For the past 7 years, we’ve taken a break in winter to enjoy the sunny south and stayed in a different vacation rental every time. It’s been great, not just for the obvious warmth and tropical benefits, but to get that learning experience that comes from being a guest. I know I’ve harped on about this before and will do so again and again. So, no apologies for revisiting this topic, because the only way you’ll create the perfect guest experience is to be a guest yourself. And not in your own place. So, here I am back home reflecting on my vacation and thinking about how the reality matched up with what we were promised. What comes to mind is the information provided before we went, what was there at each place when we arrived, and how the owners shared their knowledge during our stay. I would say I’m pretty independent as far as travel planning is concerned. I can Google along with everyone else, but I still welcome information that comes from owners who have so much more knowledge of the local area. Owners or managers are the information sources that guests need to ensure a great stay. Withholding that information can make the difference between frustration and irritation and a well-executed and enjoyable vacation. 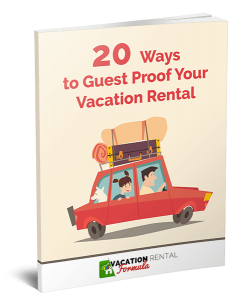 As a rental agency here in Canada we produce a comprehensive guide for International visitors. This covers things like LCBO/Beer stores (cannot buy booze in a supermarket); rules of the road – four-way junctions, turning right on a red light, stopping for school buses. We also help out our guests from the city who are planning on visiting our country areas, because they will find big differences in the way of living. So what do you do to prepare your guests for their stay? How much do you share? How far do you go to help them plan? In this episode, I’m exploring what guests want in the way of information before they leave on vacation, while they are there, and what you might think of providing. Woot Woot! 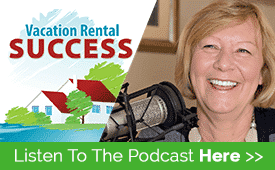 Another helpful podcast from Heather Bayer. Lot’s of actionable information and helpful take-aways. I’m working on my “Things To Do On Rainy Days” list for my Guests right now and rewriting my introduction letter to my Guests with a checklist of things to bring with them to the cottage. Your guests will love you for it Gary!